Austin with all its quirckiness, deliciousness, and a great demeanor toward supporting its communities, non-profits, local businesses and arts is a wonderful city to live in. Being proud Austinites and small business owners, we feel strongly about our place in the local community and the ways we can support it and give back. As pet parents and animal rights allies, we chose to stand with Austin Pets Alive!, the cause that is very dear to our hearts. APA! is the largest no-kill shelter in the country, and one of Austin’s most renowned non-profits. APA!’s team members work selflessly and effectively on implementing and maintaining comprehensive, innovative programs designed to save the animals most at risk for euthanasia. By partnering with Austin Pets Alive! we are able to lend a helping hand in supporting and promoting their noble cause, and the city of Austin’s prominent no-kill policy. In an effort to help Austin Pet’s Alive to continue funding their real life miracles, we went on to create Cause for Paws Tattoopalooza initiative. 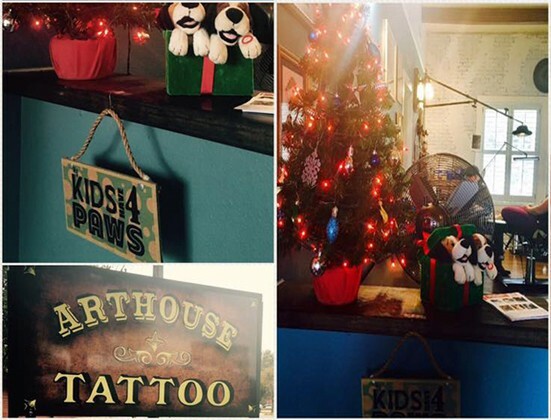 Artouse Tattoo’s Tattoopalooza events help generate donations for APA! 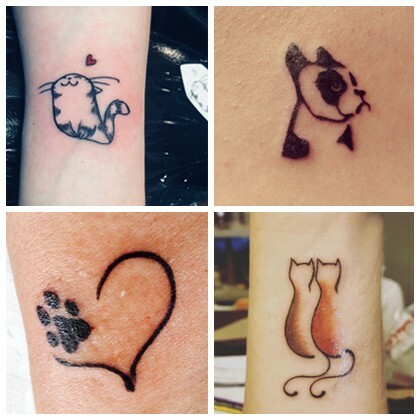 in exchange for an offered variety of simple and sweet pet related tattoos, while also spreading their empowering message among our customers. Learn more about Austin Pets Alive! and the ways you can support this organization here.